Captured at the pinnacle of Mike Brewer and Tom Shipley's celebrated career, their acoustic performance at A&R Studios on 9th December in New York for WPRJ-FM, is adequate proof of a consummate partnership that extends beyond mere words, written or sung. Two immensely talented writers and musicians, unplugged long before VH1 coined the term. For beautifully handcrafted classic songs, look no further. 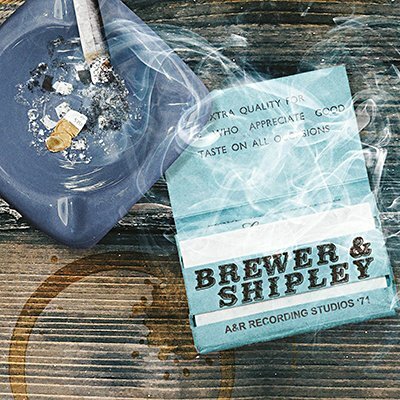 The Brewer & Shipley partnership is a valuable chapter in the American songbook that still resonates today with equal impression and will continue to do so. One Toke Over The Line, Oh Mommy, I Don't Want To Die In Georgia join a cast of other favourites. Echoes proudly presents the entire original WPRJ-FM broadcast of Brewer and Shipley live in session from A&R Studios, New York on 9th December 1971. Professionally re-mastered original broadcast with expansive liners, interviews and rare archival photos.